High school actually is a phase of transition from a less stressful kind of studying to a more stressful one. However, with the right tools, techniques, and mindset, students like you can ace subjects in no time. 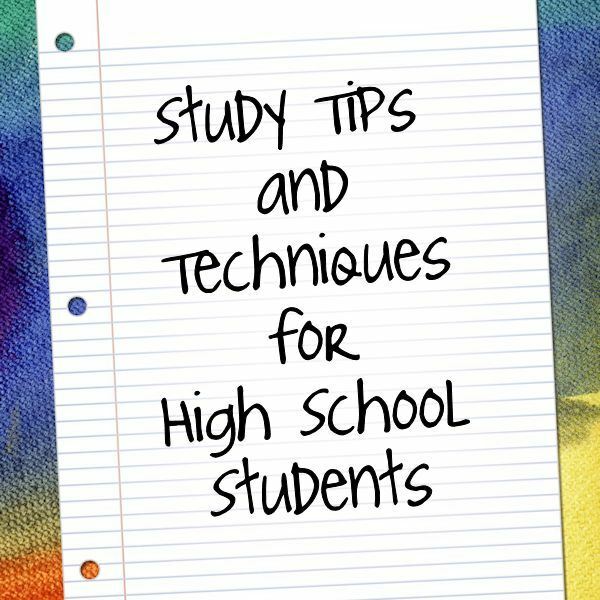 Check out this high school study guide created through a compilation of Bright Hub articles written to guide you throughout your high school subjects. It's a good idea to bookmark this guide for quick reference as your teachers take you through your various topics. To be more efficient when studying, it is a must that you first prepare your study materials, your study area and, most importantly, yourself. These are essential when it comes to building effective study habits. Most importantly, do not forget your assignment instructions. Organization is key to becoming successful with your high school studies. Proven to be one of the most efficient ways to enhance study skills, this method stands for: Survey, Question, Read, Write, Recite, and Review. This method makes use of a pattern of deducing information and allowing it to sink in one’s mind naturally. In the long run, this can be a habit leading to academic and work success. A good combination with SQ4R, the Cornell Method makes use of five Rs: Record, Reduce, Recite, Reflect and Review. This technique can be done by dividing your paper into three sections: a two-and-a-half-inch column at the right, two- to two-and-a-half-inch row below, and the larger space on the left for your main notes. When composing essays for your different high school subjects you really need to master the basics of paragraph and essay composition until you can quickly crank out research papers, book reports, and other writing projects. Don’t forget the usual essay writing techniques: pre-writing, writing the first draft, revising, and proofreading. High school won't be complete without you writing a book report. Thus what else could you do with those basic composition skills but to further enhance the perfect report? Do not forget to analyze the book or story well and, of course, learn the basic elements of the story. As a high school student, you will naturally be introduced to various writing formats that will include poems. To excel in this kind of writing, see to it that you learn the techniques in composing meaningful poems. Take note of the poetic movements, types of poems, and poetry analysis as you deal with poetry styles. Practice makes perfect. Formulae and equations do not have to take their toll on you if you just practice. Keep algebraic formulas handy wherever you go so you can keep them in your head. Given the problems you need to solve, keep trying until you reach the desired answer. Follow the system applied in this article for each kind of equation or formula and learn by trial and error. The examples provided will help! Geometry problems can just be a cinch when you learn the basic theorems by heart. Know that a right angle equals 90 degrees and you won’t be lost. Identify the differences between the different kinds of angles, the postulates, and other principles and there's no doubt that you'll succeed in high school geometry! High school trigonometry would best be understood if you learn the basics first. Confused of how the trigonometric identities function? Not a problem, for with practice, again, you can make it. Learn about the quotient identities, reciprocal functions, Pythagorean identities, and others as you master trigonometry by heart. Apply the study skills you learned above as you learn the periodic table of elements in Chemistry. Memorize which elements stand for Ca, Ni, Z, etc. Learn their functions and descriptions and you'll just be fine as you encounter more of them through the more advanced chemistry lessons. The principles of mastery also go true with learning the fundamental quantities. These quantities are used in almost every science subject so these will also come in handy once you deal with subjects such as Physics, Chemistry, and even Biology. Identify the differences between mass, length and time and you won't be lost in the numbers game in your particular science class. Similar with every high school subject, you need to learn the basics. Just like cells serve as the foundation of life, you need to know the transitions between systems. It is important to know that tissues come after cells and the same goes for organ systems; they follow tissues. This is how biology works, too. Begin with the fundamentals and work your way through the more complicated lessons on the study of life. Analyzing economics won’t be a burden if you understand the basic concepts such as bull market, bear market, and lots more. All these root from such fundamental principles. Thus, the key here is learning the basics and applying these to the more advanced concepts. Understanding the structure of the federal government as well as the different policies herein will not be as strenuous as you might think, as long as you make use of the right study techniques. Identify what federalism means, as well as what the layers of the American government entail, as you succeed in U.S. government studies. Before you begin studying for Geography, see to it that you also have a complete set of study tools. Do you have a trusty globe, atlas, geographical dictionary and other reference materials? If not, consider searching for these basic tools. With your preferred learning style as well as your professor's teaching methods, you will surely find these devices handy as you learn about the world, your continent, cities, and other places you are studying about. With all of these basic high school study tips available, it is necessary to understand that whatever subject you are learning about, your keys to success will always lie on your will, determination, and perseverance. Match the study techniques mentioned above with these three traits and you’ll definitely go a long way. Feel free to share this study guide with those you think would benefit from it and comment here if you have found this to be helpful. Image from Flickr, Studying by English 106 under creative commons license.